We appreciate your being prompt! Directions to all our meeting places are here. *Check here for explanation of Difficulty/Pace rating of each hike. REMINDER : When you sign up for events online, you will receive a confirmation email within 2 days. 4/13 10-2 Harriman St Pk, NY Reeves Visitor Ctr Stren/Mod Dagi 6 mi. 7 hills. Shuttle. 4/14 10-2 The Tourne, Boonton, NJ Parking area near ball field Easy-Mod/ Leisurely Christine 5 mi. Lunch at Birchwood Lake Beach. 4/27 10:30-4 Grounds For Sculpture Hamilton, NJ Easy/Leisurely Christine 2-3 mi walk. Register with full payment by April 13. 5/4-5 TBD Harriman St Pk, NY TBD Easy-Mod/ Leisurely Mary-Ann & Jackie More info. 5/5 10-2 Jockey Hollow Nat'l Pk, NJ Visitor Ctr, Morristown, NJ Mod/Mod Judy 6.5 mi. Grand Loop Trail. 5/11 10-2:30 Wawayanda Lake, NJ Wawayanda Lake - Beach parking lot Mod/Leisurely-Mod Christine 6-mi lake loop, rolling hills, stream crossings. Good transition from Easy to Mod. 5/12 9:30-1:30 High Mt, NJ William Paterson College prkg lot Mod/Mod Jackie 5 mi, views of NYC & entire area. 5/16 9:30-2:30 Norvin Green St Pk, NJ Norvin Green, Crescent Drive Mod/Mod Dagi 6-7 mi. Hills, views. 5/18 9:45-3 Museum of Early Trades & Crafts Madison, NJ Easy/Leisurely Christine 0.5 mi walk. Register with full payment by May 11. 5/19 9:30-2 Elbow Brush, Harriman St Pk, NY Johnsontown Rd, 1st prkg lot Mod/Mod Jackie Claudius Smith Den, Elow Brush, Almost Perpendicular. 5/25-27 TBD TBD TBD Mod-Stren/ Mod Mary-Ann & Jackie More info. 5/25 9:30-3 Horse Pond Mt, NJ Long Pond Ironworks, NJ Mod-Stren/ Mod Dagi 6 mi. 5/26 10-3 Stony Lake, Stokes St Forest, NJ Sunrise Mt prkg lot, Branchville, NJ Mod/Mod Nancy 7-mi loop. Lake, fire tower, views. 5/28 10-2:30 Harriman St Pk, NY Lake Skannatati Mod/Mod Dagi 5-6mi loop. Great views. 6/1 10-2 Norvin Green St Pk, NJ The New Weis Center, NJ Mod/Mod Dagi 5-6 mi, varied terrain. 6/2 10-1 Freedom Pk, Randolph, NJ Freedom Pk, Millbrook Ave Mod/ Leisurely-Mod Christine 4-5 mi on Randolph Trails, mix of flat & rolling hills. 6/46 10-2 Harriman St Pk, NY Lake Sebago Boat Launch Mod/Mod Dagi 5 mi. Lunch at Pine Meadow Lake. 6/8 10-2 Turkey Mt, NJ Pyramid Mt prkg lot, Boonton, NJ Mod/Mod Judy 5 mi. Focus on map reading skills. 6/8-9 TBD Harriman St Pk, NY TBD Easy-Mod/Leisurely Mary-Ann & Jackie More info. 6/15 9:30-3 Kykuit, the Rockefeller Estate + Union Church Sleepy Hollow, NY Easy/Leisurely Christine More info. Sun 6/16 9:30-12:30 Ramapo Mt St Forest, Oakland, NJ Skyline Drive lower lot Easy-Mod/ Leisurely Jackie 4-5 mi. Help AFW maintain the MacEvoy Trail. 6/20 10-2 Harriman St Pk, NY Equestrian Center Mod/Mod Dagi 5-6 mi. Lunch at Pine Meadow Lake. 6/22 10-2 Patriots Path to Dismal Harmony, NJ Lewis Morris Pk, Morristown, NJ Mod/Leisurely-Mod Christine 6-mi loop, some rock, 1 big hill. Good transition from Easy to Mod. 6/23 10-2 Sussex Branch Trail, NJ Waterloo Rd prkg lot, NJ Easy/Mod Nancy More info. 6/29 10-2 Harriman St Pk, NY Lake Skannatati Mod/Mod Dagi 5-6 mi. 7/6 10-2 Harriman St Pk, NY Lake Sebago Boat Launch Mod-Stren/ Mod Dagi 5-6 mi. Shuttle. 7/13 9-12 West Morris Greenway, NJ Patriots Path Trailhead, Pleasant Hill Rd, Chester, NJ Easy/Leisurely Christine 4 mi on West Morris Greenway. 7/14 10-2 Columbia Trail, NJ 42 Bartely Road, Chester, NJ Mod/Mod Nancy More info. 7/20 9:30-2:30 High Point St Pk, NJ Iris Trail prkg lot Mod-Stren/ Mod Jackie 6 mi. Rutherford Lake loop. 7/21 9-1 Mahlon Dickerson Rsrvtn, NJ Saffins Pond Mod/Mod Christine 6-mi loop, some rocks, ups & downs. 7/23 10-2 Harriman St Pk, NY Silvermine picnic area Mod/Mod Dagi Stockbridge Mt. 7/28 10-2 Warbasse Junction, Lafayette, NJ Paulinskill/Sussex Branch Trail Junction Trailhead Mod/Mod Nancy More info. 7/27-28 TBD Harriman St Pk, NY TBD Mod/Mod Mary-Ann & Jackie More info. 8/3-6 TBD Adirondacks, NY TBD Mod/Mod & Stren/Mod Georgette & Jackie More info. 8/10 9:30-1:30 Stony Brook-Pyramid Mt, NJ Kincaid Woods/Pyramid Mt Addition Mod-Stren/Mod Christine 6-mi loop, some rocks, ups & downs. 8/11 9:30-1:30 Mills Rsrvtn, NJ Prkg lot at 2 Brown Ridge Court, Cedar Grove, NJ Easy-Mod/ Leisurely Jackie 4 mi, great NYC views. 8/20 10-2 Harriman St Pk, NY Reeves Visitor Ctr Mod/Mod Dagi 5 mi. Lunch at Pine Meadow Lake. 8/24 10-2 Ramapo Valley Cnty Rsrvtn, NJ Ramapo Rsrvtn, Mahwah, NJ Mod/Mod Dagi 5 mi, waterfall. 8/29 10-2 Ramapo Valley Cnty Rsrvtn, NJ Ramapo Rsrvtn, Oakland, NJ Mod/Mod Dagi 5 mi, waterfall. 8/31 9:30-3:30 Mt Minsi, PA Lake Lenape prkg area Stren/Mod Christine 8 mi, 1000' elevation gain within 2 mi. 9/7 9-2:30 Stonetown Circular - Part 1 Stonetown Rec Fields prkg lot, Ringwood, NJ Stren/Mod Christine 6.5-mi half-loop, 3 mts, views of Wanaque Rsrvr. 9/8 10-1 Silas Condict Cnty Pk, NJ Silas Condict Cnty Pk, Kinnelon, NJ Mod/Leisurely Jackie 3 mi. Good transition form Easy-Mod to Mod. 9/12 9:30-2:30 Surprise Lake, NJ A&P prkg lot, Hewitt, NJ Mod-Stren/ Mod Dagi 5+ mi. Time includes shuttle to Bearfort Ridge. 9/14 9:30-12:30 Ramapo Mt St Forest, Oakland, NJ Skyline Drive lower lot Easy-Mod/ Leisurely Jackie 4-5 mi. Help AFW maintain the MacEvoy Trail. 9/15 9:30-2 Harriman St Pk, NY Johnsontown Rd, 1st prkg lot Mod/Mod Jackie 4-mi lollipop loop - Dater Mt/Almost Perpendicular. 9/22 10-3 Paulinskill Trail, Footbridge Pk, NJ Footbridge Pk, Blairstown, NJ Mod-Stren/ Mod Nancy More info. 9/21-22 TBD Harriman St Pk, NY TBD Mod-Stren/ Mod Mary-Ann & Jackie More info. 9/24 10-2 Norvin Green St Pk, NJ The New Weis Center Mod/Mod Dagi 5-6 mi. Varied terrain. 9/28 4-10 Harriman St Pk, NY Route 106, 2nd prkg lot Mod/Mod Jackie 4 mi. 9/29 10-2 Sussex Branch Trail, NJ Kittatinny Valley St Pk, Andover, NJ Easy/Mod Nancy More info. 10/5 TBD Loantaka Brook Rsrvtn, NJ Loantaka Rsrvtn, Morris Cnty, NJ Easy/Mod Christine 4 mi, flat gravel trail. 10/6 10-1 Ross Dock picnic area Palisades Interstate Pk, Fort Lee, NJ Easy/Mod Nancy More info. 10/8 10-2 Harriman St Pk, NY Reeves Visitor Ctr Mod/Mod Dagi 5-6 mi. Raccoon Brook Hill. 10/12 9:30-2:30 Harriman St Pk, NY Jones Point prkg lot Mod-Stren/ Mod Dagi 7 mi, "tunnel" hike. 10/13 9:30-12 Dater Mt, Harriman St Pk, NY Johnsontown Rd, 1st prkg lot Easy-Mod/ Leisurely Jackie 1 good uphill. Coffee & donuts hike. 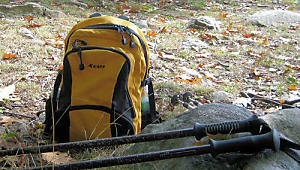 10/19 9-3 Sam's Point Preserve, NY Sam's Point Prsrv, Minnewaska, NY Stren/Mod Christine 8.5 mi, views. Prkg fee. 10/20 9:30-2:30 Long Path to Baileytown Cem, Harriman St Pk, NY Route 6 Hikers prkg area Mod/Mod Jackie 5 mi. 10/24 10-2:30 Harriman St Pk, NY Anthony Wayne prkg lot Mod/Mod Dagi 5-6 mi. Great views. 10/27 10-3 Ramapo Valley Cnty Rsrvtn, NJ 608 Ramapo Valley Rd, Mahwah, NJ Mod/Mod Nancy ~7-mi loop on trails less traveled to Bear Swamp Lake. 11/2-3 TBD Harriman St Pk, NY TBD Mod/Mod Mary-Ann & Jackie More info.